In line with Singapore’s goal of becoming a Smart Nation, the country is gearing towards integrating blockchain into the daily lives of Singaporeans. Distributed ledger technology (DLT), also known as blockchain, is an electronic database that synchronises and shares among numerous sites, countries, and networks. In case you don't already know, Bitcoin is based on blockchain technology. 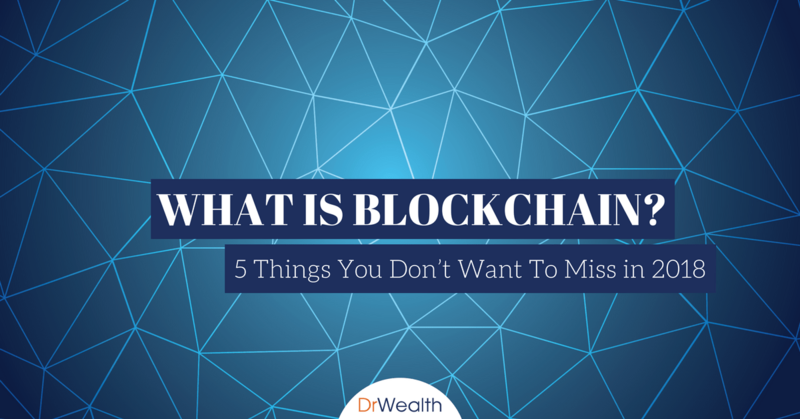 With the technological advances of today, blockchain has become the most widely adopted technology upon which innovating companies are basing their futures on. With Singapore’s current industry, blockchain is extending to the country’s banks, real estate, academics, and more. As of the moment, Singapore is one of the countries where many blockchain startups launch their initial coin offering (ICO). Singapore is attractive to most startups because of the country’s tax-friendly rules, state funding and light regulation especially with its reputation of having played host to countless successful ICOs. Singapore’s marketplace is currently booming with all the companies looking to do an ICO. Keep updated and check out these five things that you shouldn’t miss in 2018. A well-known higher education institution in Singapore has collaborated with Attores, a block chain startup of United Overseas Bank’s Finlab to verify personal identity and qualifications. This block chain has made it possible for Ngee Ann graduates to be awarded digital certificates termed as Diploma Plus Certificates. These certificates will be directly placed on the LinkedIn profiles of the students. With Attores, validating a certificate’s authenticity will be easier. Averspace Company has made real estate transactions better. All the paperwork such as property contracts, titles and agreements can be secured and even digitised with the help of the block chain technology. Averspace has created an online space where buyers and sellers are easily connected, for sale or rent properties are all listed, and contracts are secured. Tenants and homeowners can now process digital agreements via smartphones while saving thousands of dollars compared to the traditional process which was laden with high transaction fees and commissions. FinLab's Attores is backed by Averspace and Popety. Popety is a company with a collection of property listings that is supported and maintained by blockchain technology. The company brings together property buyers and sellers which creates opportunities and boosts profits of businesses. Last June, the SP Group, a utilities provider, has announced that it will work together with a group of worldwide energy organisations and companies to establish block chain solutions that will not only drive greater usage of renewable energy sources but it will also help customers save cost. Believing that the widespread influence of block chain can cause banks to be obsolete, a Singapore blockchain startup called Change aims to be the “Paypal of Cryptocurrency”. This means people in the future can purchase different types of merchandise with cryptocurrency. Recently, Change has launched an ICO campaign. It has currently raised more than $15 million dollars and will end on October 16. To reach their goal, Change enables the management of portfolios easily, keeps transfers of funds simple and offers storage of major cryptocurrencies. The blockchain also aims to build a marketplace which is designed for a clean, secure and simple user experience. Rest assured that the company prioritizes security for all its users. Change’s crypto wallet is safeguarded by a mix of hot and cold storage solutions. This aspect provides strong layers of security to the wallet. Currently, Change is aiming to be the bank of the future which means it wants to create a platform that can support both ether and bitcoin cryptocurrencies, and fiat currencies namely euros and dollars. Singapore’s central bank, the Monetary Authority of Singapore (MAS), has budgeted a whooping S$225 million for the development of Fintech applications and projects. That’s equivalent to $166 million US dollars. With a budget as big as this, we will be expecting a lot of projects this upcoming 2018. To welcome all the crypto-assets, MAS created a tokenized version of the country’s currency, the Singapore dollar. It is available on a blockchain which is Ethereum-based. MAS move, called the Project Ubin is an effort to make an efficient replacement for the country’s interbank payments system with the use blockchain technology and tokenization. On the other hand, Initial Coin Offerings (ICOs) in Singapore have been increasing. Starting with Digix Global’s successful token sale one after another in 2017, Singapore has seen a number of highly successful ICOs with TenX’s $80 million raise as an example. Even though most of the ICOs in Singapore range from $1.5 million to $15 million, they still radically overpass the typical seed rounds among the startups in the region. With the entire rise in cryptocurrencies and blockchains in Singapore, the local community has maintained integrity by self-regularisation. This move intends to protect the process instead of hindering it. With proper regulation, investors are protected; more people are given the chance to participate in ICOs and an opportunity to approach a wider audience. Being a hot ICO destination, Singaporean companies and organizations has started putting together trainings and seminars with the purpose of educating the country of what the blockchain technology is all about and how they can benefit from it. Such is the purpose of one training to be conducted on May 23, 2018 by SettleMint Blockchain Academy. Entitled “Discover the business potential of Blockchain”, it aims to tackle Blockchain basics. Starting with how the blockchain came to be, its impacts, and what hashing, wallets, ledgers, public and private keys are. The second part talks of the comparison between blockchain technology and traditional data storage, its key attributes such as immutability, security and transparency and the blockchain architecture namely the private and public networks. Lastly, on the third part, the training discusses smart contracts, distributed autonomous investment funds, advantages and constraints of blockchains and the difference between an open source and proprietary blockchains. This training is just one of the many training in the year 2018. So stay tuned, we're sure there'll be other upcoming trainings and seminars.